The Mind of Tefft – Just me thinking out loud. Christmas is tomorrow and the New Year not far behind. I thought I would take a few minutes and record my thoughts and musing for posterity. It has been a year of ups and downs, as all years are. I can’t say it has been a particularly good year or a bad year. I have had health issues that have plagued me. Three cases of diverticulitis that have landed me twice in the ER and once in the hospital. In fact it has been just over a week since I got out of the hospital after having spent 3 1/2 days there for a hole in my colon. I’m on the mend but there will probably be elective surgery next year to remove the offending section of colon that is causing all the problems. My house search continues. The interest rates are at the highest they have been in 7 years and my stocks have taken a terrible beating in the last couple of months, making it even more difficult to find and buy a house. Did I mention house prices are up considerably too. But I haven’t given up yet although I may end up renting until the economy and my finances improve. I am still pretty active even though I will be 70 years old in January. But age has finally prevented me from doing some of the the things I used to do, or at least curtailed them somewhat. I still would love to travel but with my health issues, did I mention my heart problems also, I have to temper where and for how long I can travel. But some things, like reading, studying, and photography, have not been affected by my getting older. Good. But mostly I chose to write this to talk about how my recent hospitalization has made me realize how blessed I am. A big part of my life for the last decade + has been the church I attend and its members. Our church continues to thrive even though our pastor of the last 4 years has resigned to accept a ministry at another church. But church is more that just a beloved pastor. Tonight we are having our Christmas Eve service ‘Into the Light’, and it is going to be the best service ever. We have a lot of new young and very talented members who have become an important part of the church family. We now have a praise group and a morning modern service featuring our praise group ‘Son Rise’. While I was in the hospital my church family came to visit. Both the young ones and the older ones came out to see me. After I got out of the hospital, my church family again came bearing beef stew, biscuits, soup, and offers to shop for me and do whatever they could to help me while I was recovering. They are the blessing I am writing about. That God put such caring, loving people into my life is a blessing beyond anything else I could imagine or want. So whatever the new year brings, I know that not only my family but my church family will be there to make things better. I couldn’t ask for more. So in a few hours I will be heading to the Christmas Eve service, where I will be one of the narrators of the story of the birth of our Lord and Savior Jesus. What a great way to end the year. I am truly blessed. Merry Christmas, Happy Hanukkah, or Seasons Greetings to all. Have a wonderful holiday and a great new year. From my previous posts you know about the construction and destruction of the neighborhood where I now live. I have engaged a realtor, an old friend of mine, and am actively engaged in finding a new place to live. This is a daunting task in many ways. First and foremost is the fact that I will soon be 70 years old. It’s not easy pulling up stakes at my age. I have lived at my present location for 15 years, which is the longest I have lived at one place in my lifetime. Being a Navy brat, my family moved a lot. I have lived in Florida, Texas, Virginia, Rhode Island, and New York. I have lived here in Virginia since the 11th grade. In the time I have lived in Virginia I moved 7 or 8 times. I am hoping this move will be my final move. I plan on dying where I move next. All my friends, family, doctors, church, everyone I know, live in the Hampton Roads area. Ideally I would like to find a place to live in this area. The only problem with that is that I have grown to hate this area. I have a bit of a nomad still in me, and 50+ years in the same area is having its toll on me. Add to that the relentless development, construction, traffic, and just total urbanization of the area is distasteful to me. I want some country, not endless condos, new homes, shopping malls, etc. I am trying to find a place where I am not elbow-to-elbow with people, I want some peace and quiet. I want to be able to look out on my back yard and see a deer, or a fox, or a racoon once in a while. I used to be able to do that here, but not any more. Plus, the cost of housing in this area if very high. You really can’t get much for what I am able to afford. If I find a house that I like, I find I don’t like the neighborhood, or if I find a nice location, there is something about the house I don’t like. I also have a medium size dog, which adds to the difficulty of finding the right home. I would like to have a fenced yard for my dog, but I don’t want too big a yard because I will not be able to maintain it by myself for much longer. Plus I don’t need a house with a lot of square footage to take care of since it is just me and my dog. When I have found a home that suits my needs and that I can afford, it is usually too far from the church that I attend, and in which I am very active, to be able to commute to daily. When I look at properties in the western part of the state, outside of Hampton Roads, homes are much more affordable and you can get so much more for your money. But then I would have to give up attending the church I have attended for so many years, and be distanced from my friends and family. So as you can see, I have a lot of decisions to make. I have to prioritize what is most important in my life. And the decisions I make will be ones that will affect every aspect of what time I have left in this world. I have a great Realtor and she has been very helpful and supportive. I told her I would be finicky about where I would live. It has been tougher so far than I thought it would be, but it has also helped me to set some priorities about what is most important. So the quest continues. I haven’t given up yet, I have placed it all in the hands of God. I will find somewhere to move to, somewhere where I can find a little peace and quiet, and hopefully escape the relentless encroachment of progress, at least for a little while. Pray for me or wish me luck, or both. As I sat in the far back corner of the house to escape the construction noise, I thought I would give vent to my frustrations as to what is happening just outside my front door. I have lived in my present location for 15 years. When I first moved here it was a quiet, peaceful neighborhood. There were only seven houses in the entire neighborhood. Granted, it wasn’t exactly in the country, but it was nonetheless a nice place to live. Today, 15 years later, there are 37 houses in the same neighborhood as well as a self-storage business. The self-storage was the first new construction, built on what had been protected wetlands. Somehow a waiver or exception was had and the storage facility built. Oh well, there goes the neighborhood I thought. Then the street I was on was widened, curbing and street lights added. Starting to loose it’s charm now. At the end of the dead end road I live on there was a big parcel of land and two houses, one of them an old, beautiful, three story brick ranch. The adjacent acreage was eventually sold by the owner of the three story to a developer after a falling out among family members. Within a couple of years an additional 30 homes were built on the land. This of course resulted in a lot more traffic coming down my street, but at least the homes were a good 50 yards from us. Which brings me to today’s construction noise. The two homes that were directly across from me were built on about 4 acres each, for about a total of 8.5 acres. 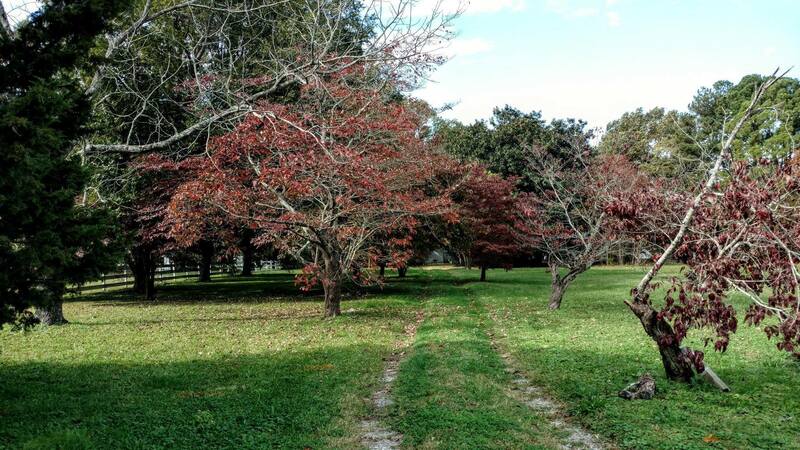 They were both beautiful houses with many mature magnolia, oak, and fruit trees on them. Truly beautiful to look at. I enjoyed the view from my front porch for 15 years. Both owners died recently and both properties were sold to the same developer that built the 30 houses previously mentioned. So before long I was a front seat observer to the destruction of those beautiful properties. 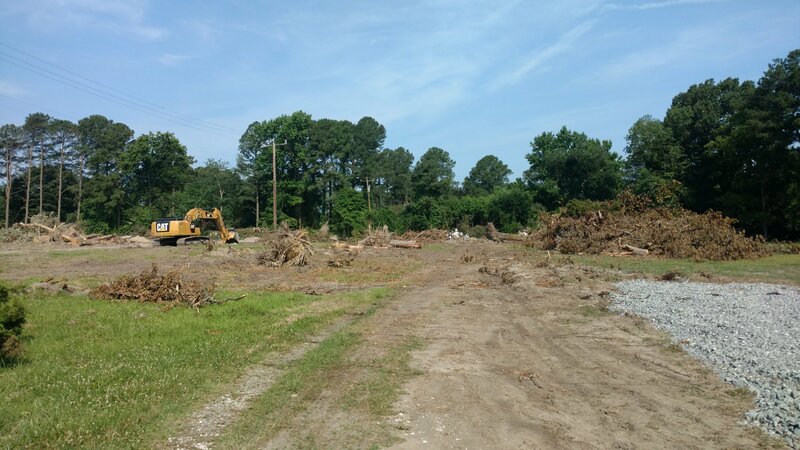 The hardest thing to watch was the destruction of all those beautiful, old trees by heavy construction equipment. I have never been a tree huger but to see those beautiful trees destroyed like that, their beauty never to be enjoyed again, was heartbreaking. I will be grieving over their loss for a long time. Now every day for the last month, until about November I am told, I have to see and hear the transformation of those beautiful acres into another housing development. Twenty five houses jammed into 8 acres of land. Look-alike houses, each sitting on less than a third of an acre. When it is all done, I will have a total of 55 new houses that did not exist when I moved here those 15 long years ago. Gone forever is the peace, beauty, and charm that once brought me to live here. I used to watch geese migrations every year, watched foxes hunt rabbits at night, had the occasional racoon, deer, and other wildlife. All of that is gone forever now. And that is what is called progress. So as I finish writing this, thinking about all that has changed in the last 15 years, all that has been lost, I feel this ache inside me that I know will be a long time in fading. I am actively looking for somewhere else to move, somewhere where I can perhaps regain some of that lost peace, quiet, and beauty. Wish me luck. Apparently I’m not very good at this chronicling my life stuff any more. Not much interest in writing in this blog any more. Guess over time your interests and priorities change. But I was sitting here this morning, on a beautiful day, thinking about life. I have just finished doing my morning devotionals. It usually consists of reading three or so devotions and their associated scripture, which gets me to thinking. I wrote last August about how things have changed where I live. That change has finally become reality as earth moving equipment has shown up on one of the properties that is being developed. I think that will be the last straw that motivates me to finally try to find somewhere else to live. Somewhere where I can live the rest of my life in peace and quiet. Not sure if such a place exists anymore but I’m going to try and find it. A lot of the things I used to spend a lot of time on when I was younger have lost their lure. They have been replaced with other things. That is normal I know, people change as they grow older. I still love to read, but my reading interests have changed. I will always love photography, that will never change. And my love of science and technology has not diminished although the focus has changed. I am still very active in church and have recently started volunteering at the city animal shelter walking the dogs, cleaning the kennels, and doing whatever I can to make their lives better. It is sad to see the plight of these beautiful creatures. I don’t know their stories, how they got there, but I do pray that their stories will have a happy ending. Old age is definitely catching up to me. It is hard to adapt life to a body that no longer wants to cooperate with you. Things I would love to do I can no longer do, or are much more difficult to enjoy to the same degree I used to enjoy. Hiking, camping, swimming, and just running have all had to be dramatically curtailed. I used to scuba dive, but due to health issues I had to give that up. I am applying for a new passport as my old one is no longer valid. I hope to travel soon before it becomes more problematic about traveling with my health issues. But hope springs eternal. I try to stay optimistic. There is no value in feeling sorry for one’s self. I am blessed in so many ways. I have my family, friends, and Church. And God. With God there is always hope. OBTW, I am writing this on my new laptop. It is a Microsoft Surface laptop. Much nicer than my old one. My old laptop was a beast. This one is much smaller and lighter and easier to use. That’s it for my ramblings this morning. Time to get out and go somewhere and do something. I hope you are going to do the same. I recently finished reading Jules Verne’s book Journey to the Center of the Earth. I do not remember having read it before, but I may have as a child. I thoroughly enjoyed the book; the plot, characters, and settings all being amazing. The 1959 movie based on the book has always been one of my all-time favorite movies, right up there with The Wizard of Oz. But as I began to read, I was immediately struck by differences between the movie and the book. As I read on I became increasingly amazed at just how different the movie and book were. It was as if the creators of the movie had as a goal to make the movie as different from the book as possible. From the plot to the characters, there are very few similarities between the two. Starting with the characters, in the movie we had Professor Lindenbrook, Alec McKuen, Professor Goteborg and his wife Karla, Hans and his pet duck Gertrude, and Count Saknussem and his assistant. In the book there are only three main characters, Professor Lindenbrook, his nephew Axel (note the name change), and Hans, sans Gertrude. Almost every scene in the movie is either absent in the book or scenes in the book absent in the movie, or drastically altered in some manner. The differences are almost too many to note, but I will endeavor to cite as many of them as I can. Firstly, the manner in which the secret of Arne Saknussem’s trip to the center of the earth is revealed. In the movie a plum bob with letters etched on it is found inside a piece of lava that is accidentally exploded. In the book it is a piece of parchment with writing that has to be decoded and translated. The abduction and imprisonment of Professor Lindenbrook and Alec in the movie never happens in the book. The subsequent scenes where they escape and enlist the aid of the widow of murdered Professor Goteborg in order to obtain needed equipment that was stolen is absent in the book. A significant portion of the book regales the travels of Professor Lindenbrook and Axel to Snefelles where the entrance is to be found. This is glossed over in the movie. The accidental flooding of the subterranean chambers caused by the removal of a crystal in the movie is actually in the book a deliberately done act by the adventurers in a desperate attempt to find water as they had run out and were dying of thirst. There is no lost city of Atlantis, no dinosaur fight on the beach of the underground sea, no scene where the magnetic center of the earth caused all the metal on the raft to be drawn away, in the book. Even the manner in which they finally escaped from the center of the earth was changed. In the movie they were propelled by lava from a volcanic eruption induced when the explorers caused an explosion to remove a giant boulder blocking a volcanic funnel, while in a giant altar stone. In the book they were propelled by water while on a raft after blowing up a blockage in a tunnel at the edge of the sea. A huge void was opened, drawing them and the ocean in and propelling them upward and eventually out of Mount Etna. Why the producers of the movie felt it necessary to make a movie that so faintly resembled the original book is unknown to me. I am moved to go back and re-read or read some of the books that were the basis for many of my favorite movies and see how faithfully or unfaithfully they followed the book upon which they were based. I’ll let you know what I find out. I have lived in Virginia for 51 years now, most of my adult life. I will most likely die in Virginia. Virginia is a beautiful state, rich in natural beauty, history, culture, and with wonderful people. I have seen much change during my life here. Going to 11th grade in Virginia Beach I remember how rural it all was. I used to go surfing at the Navy Dam Neck base and the road leading in was a two lane one, with a country store on the corner. Today the areas I remember as a young man are almost unrecognizable. 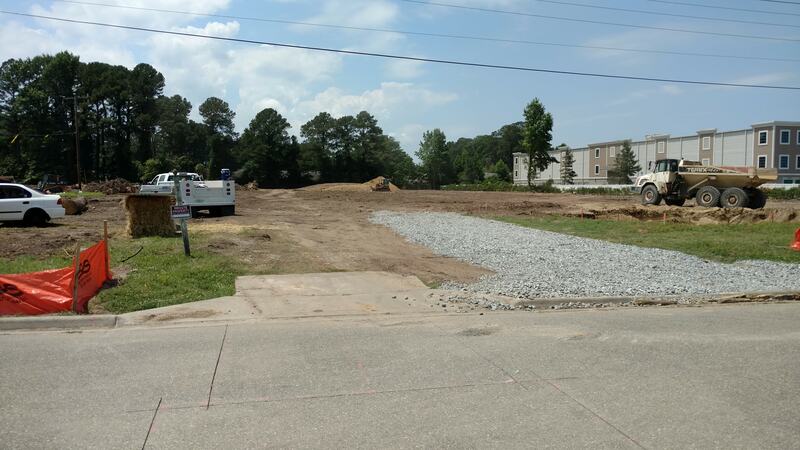 Progress has brought more roads, much larger roads, along with shopping malls, countless gas stations, banks, convenience stores, and housing development after housing development. Every city I have lived in in Hampton Roads has changed dramatically. Traffic has gone from a nice drive down a two lane road to a nightmare of constant traffic jams, endless tolls, and just a miserable experience trying to drive anywhere. And for all this progress, I can honestly say that I much prefer the Hampton Roads of my youth to the monstrosity it has become. I understand that progress is inevitable, but one would hope that progress would make life more enjoyable, but that seldom seems to be the case. Progress seems to be a lopsided trade-off between improving your life and making your life miserable. Maybe progress is not the right word, rather growth. I just wish cities would do a much better job of managing growth so that as the area where you live grows, you don’t end up becoming a stranger to the place where you have lived your entire life. I have often thought about moving, but the fact that my entire family still lives in this area has kept me from doing that. But it is coming to the point where even that will no longer constrain me from moving. I have lived in Chesapeake for almost 12 years now. When I moved to where I live now, there were only five houses in the area. Two of them are beautiful properties sitting on six acres combined, both with beautiful trees and dirt roads leading up to the house. The two houses on either side of me are beautiful houses too, with great neighbors. In the 12 years that I have lived here I have seen a self-storage facility built across the road just up a block from us. Then the old farm at the end of the dead end road I live on was sold and 30 houses built on that land. Now the owners of the two properties across from me have both died and the land has been sold to the same developers, who plan on building an additional 20 homes. So I have gone from living in a beautiful, rural area to just another over-developed area of the city. There used to be a family of foxes that lived on the land that used to be the farm. I would see them almost every day. There was also the occasional deer. Since the 30 houses were built the deer have gone, along with the foxes. Now I see an occasional fox on the two properties across from me, but soon those properties will have houses on them and the foxes will have nowhere to live. So the transformation is complete. My neighborhood that was once a joy to live in will soon become completely unrecognizable from what it was 12 years ago. I can’t even back out of my driveway any more without having to wait for a car to go by. And what has all this progress gained for me? How has it improved my life in any way? As I get older all I want is peace and quiet, and that is becoming increasingly hard to find anywhere in Hampton Roads. So I think I have reached the point where I may be forced to leave the area I have lived for over 50 years. Progress has driven me out finally. Don’t know where I will go, but I hope I can find a place where progress will not find me for the rest of my days. I have just finished reading a book about time travel. It was not a typical time travel story, it included topics like dark matter, dark energy, and duplication; not only of objects but people. Anyway, it got me to thinking about one of the most fascinating ideas of all, time. Time travel is the foundation of many a science fiction story, with good reason. Time is a bizarre concept, hard to wrap your mind around. Yet even more hard to understand would be life without time. Without time, how would life move forward? But the fact that time does move forward is the ultimate cause of death, decay, and entropy. The past, present, and future are all manifestations of time. Without time there would be no past nor future, only the present. Without a past or future, life would consist of a single instance, frozen forever. It is so weird to consider that our entire life is but a moment, which passes into the past and is no more. So we truly do only live in the moment. The future is an unknown, the past mere incomplete memories of previous instances of our lives. The advances of time lead ultimately to the decay and eventual death of our human bodies. Imagine a world where time advanced yet there was no decay. Is that even possible? As time advances it leads to growth from infant to adult, but what if at a certain point our bodies developed to a final stage after which there was no more development nor decay. No old age, the slow loss of our hearing, eyesight, our very faculties. We could still die from disease, illness, or accident, but not from “old age” itself. Would that be a form of immortality? Without time there would be no life as we know it but the side effects of time are devastating. Yet how does one wrap his mind around the concept of eternal life. How does that work? Would you live the same day over and over again like in the movie Ground Hog Day? Would time advance endlessly without aging, sickness, or death. Could the human mind deal with eternity? The whole concept of infinity and eternity is beyond human comprehension. I think the reason I have given so much thought to time is that I am finally getting to feel old. It is starting to sink in that there are only so many years to this life, that time will finally run out for all of us. I see people that were once young, vibrate, and alive, suddenly no more. I am a Christian and so believe that I will live eternally but as a human I can’t and probably never will grasp that concept fully. Time and life as we know it as captives of time, will always be a mystery. If there is anything to be learned from time it is to live the “moment” to the fullest and hope that our memories will be beautiful and our future filled with more memories to come. Time marches on. Tick, Tick, Tick. I live in Southeastern Virginia. Virginia is a beautiful state. I have lived here all my adult life. 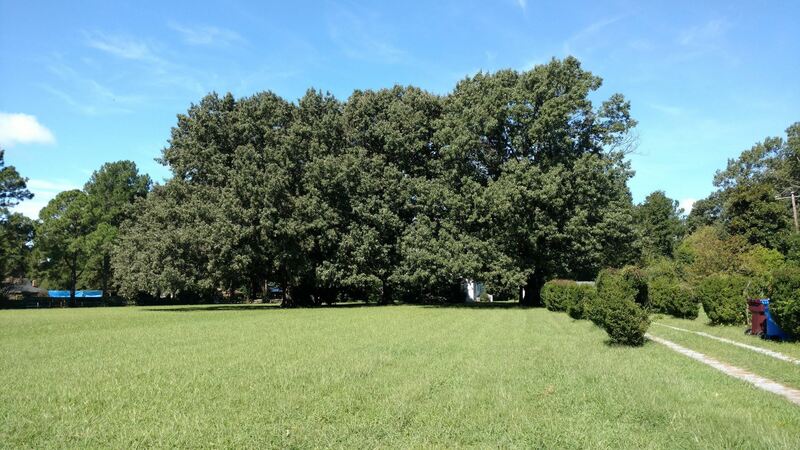 Virginia has it all, mountains, piedmont, beaches, history, and an amazing natural beauty. Two things this area has that I don’t like are hurricanes and blizzards. Today is the morning after one of the worst blizzards we have seen in recent memory. While we got through the storm without any problems, the sub-freezing temperatures forecast for the next two days will make driving anywhere problematic. Cabin fever is now starting to set in. I’m too old to go out and make a snowman unless it is a very small one. During the storm yesterday I spent time with online courses I am taking on Udemy.com. The courses are on Lightroom photography and Gimp 2 graphics software. They are a lot of fun and I am learning quite a lot. I managed to get out this morning and took a video of the results of the storm. I cleaned the snow off the outside unit of our heat system and cleaned up the front stairs some. Now I thought I would spend some more time writing on my blog. I don’t often post here, it is mostly a therapeutic thing for me. The sun is out for the first time since the New Year and if not for temperatures in the low twenties it would be a great day for doing something outdoors. It’s just that you can’t drive anywhere to do anything. So I guess after I finish this I will spend the rest of the days reading, watching a football game, and maybe a movie. The roads should be ok by tomorrow I hope. That’s about it. Just wanted to kill some time. Hope everyone is having a wonderful New Year so far. Stay safe. I finished building my new computer. All the parts came in yesterday to complete it. It was really quite easy to build. The only problem I had was with the wifi module. First I had to file the holes out to mount the antennas, then I found it impossible to connect the wires from the antennas to the module. You have to be a brain surgeon with an electron microscope to connect the wires. Honestly, I don’t think it was possible. Big fail from ASRock on that one. As I said, mounting the CPU, RAM, and SSD were simple and straightforward. And I was pleasantly surprised how quick and easy it was to install Windows 10. I am using a wireless keyboard with trackpad for input, and a USB wifi device. I was up and running in no time. The computer boots in about 10 seconds, much faster than the old computer it replaces. 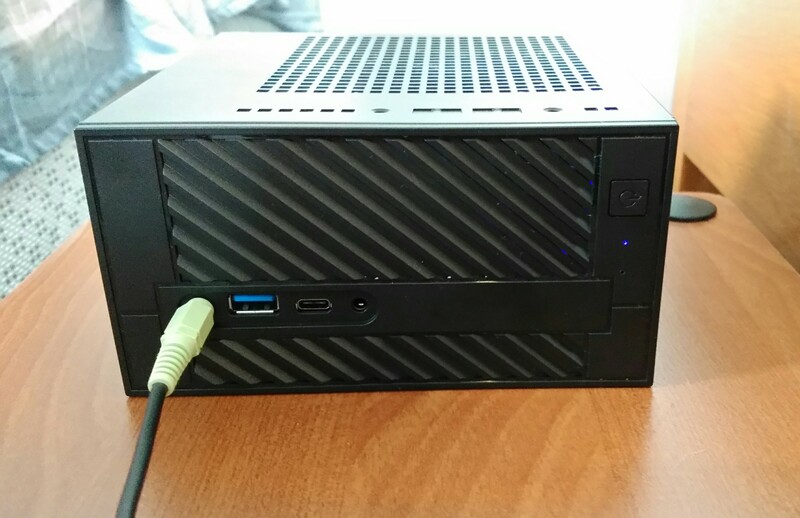 I am writing this post on the new computer. I am still amazed how small it is considering it has a 65W processor, 16GB of RAM, and a 256GB SSD. And there is still room to add another SSD or an M.2 drive. All it all I am extremely pleased. I hope this satisfies my urge to buy or build any more computers or electronics for while. I have included a few photos I took to document the build. Now I need to go and check on the John Wayne casserole I am cooking in the crockpot for supper. I have been building computers and electronics since I was a child. For Christmas I always wanted a chemistry set, biology set, 100-in-one electronics kit, etc. I learned to solder at an early age. I built a Heathkit shortwave radio for my dad for Christmas one year. More recently I have built 7 segment clocks, played with Raspberry pie, Arduino, and other electronic kits. I have also built most of the computers I have ever owned. My professional training is in Electrical, Electronic engineering, I think you get the idea. 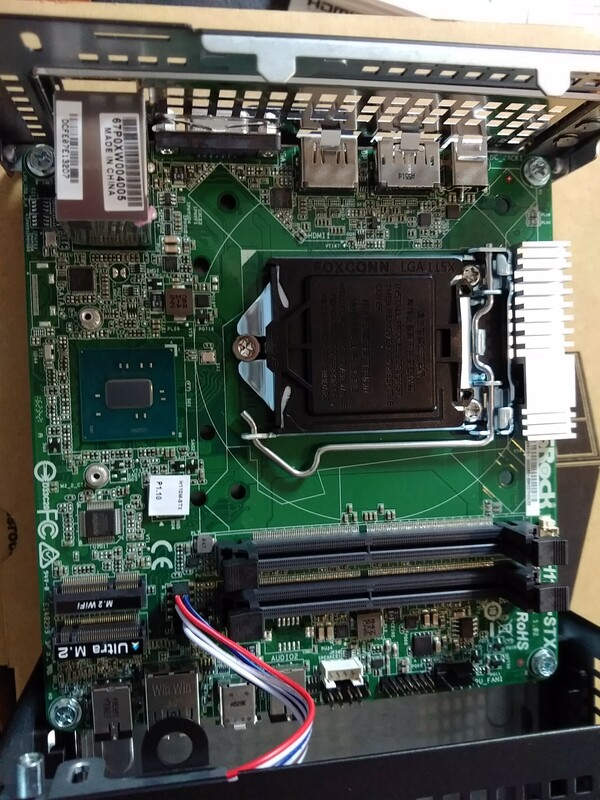 Anyway, this will be one of several posts I hope to write documenting the building of my newest computer. 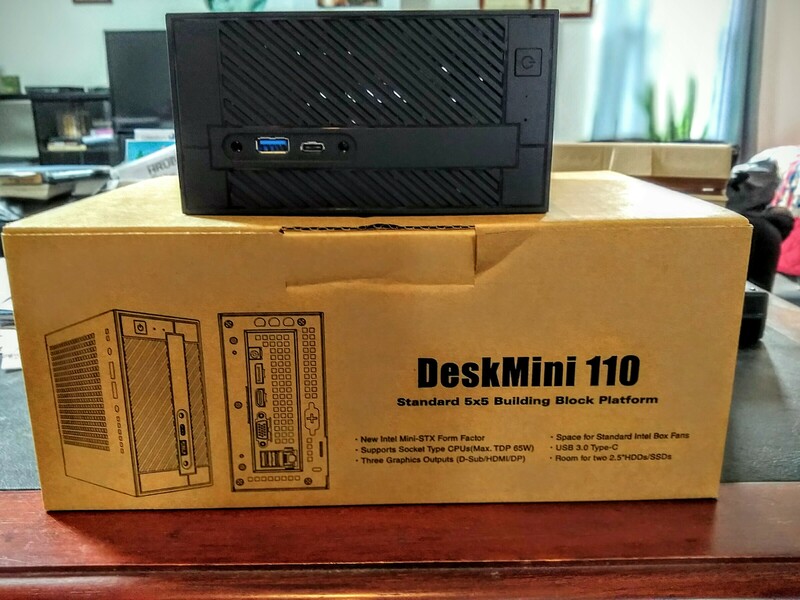 I watch YouTube videos all the time about computers and electronics and it was one about the new ASRock DeskMini 110 mini-stx form factor 5×5 case with motherboard and external power supply that made me scratch my old itch. I loved the fact that it was so much smaller than the mid tower I build 5 years ago which I just recycled at Best Buy. It supports Intel i3, i5, and i7 65 watt CPU’s and uses SO-DIMM DDR4 memory. It has a lot of other nice features but instead of listing them all here you can check it out yourself here. As it is a bare bones case I had to purchase the CPU, RAM, storage, and an operating system. I ordered the CPU, storage, and RAM from Amazon. 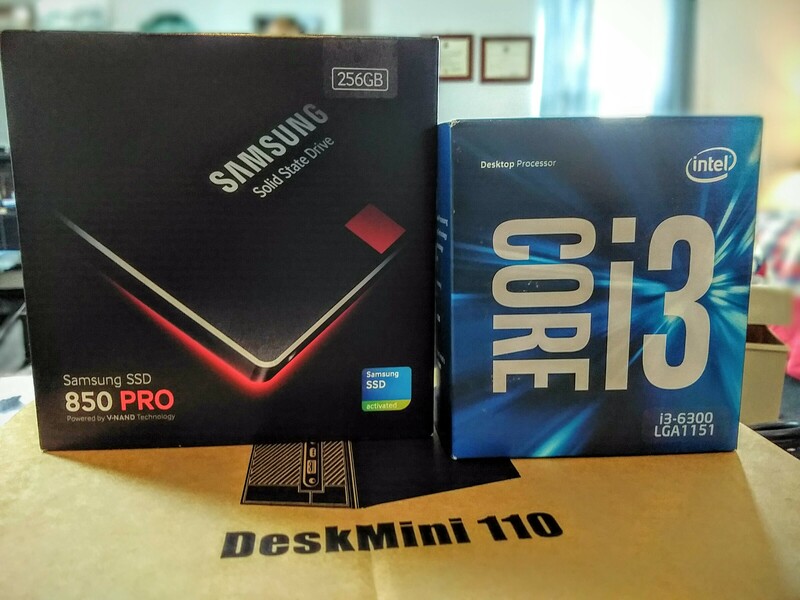 The DeskMini 110 I ordered from Newegg. I found a way to purchase a legit OEM license for Windows 10 Home edition for only $27. I have already downloaded a bootable Windows 10 image which along with the license key will allow me to install an OS on my new build at a very reasonable price. Listed below are the specifics of the parts I bought. They should all be delivered by tomorrow or the day after. I can’t wait to get to building it. Wish me luck and I will be documenting the process here in another post.